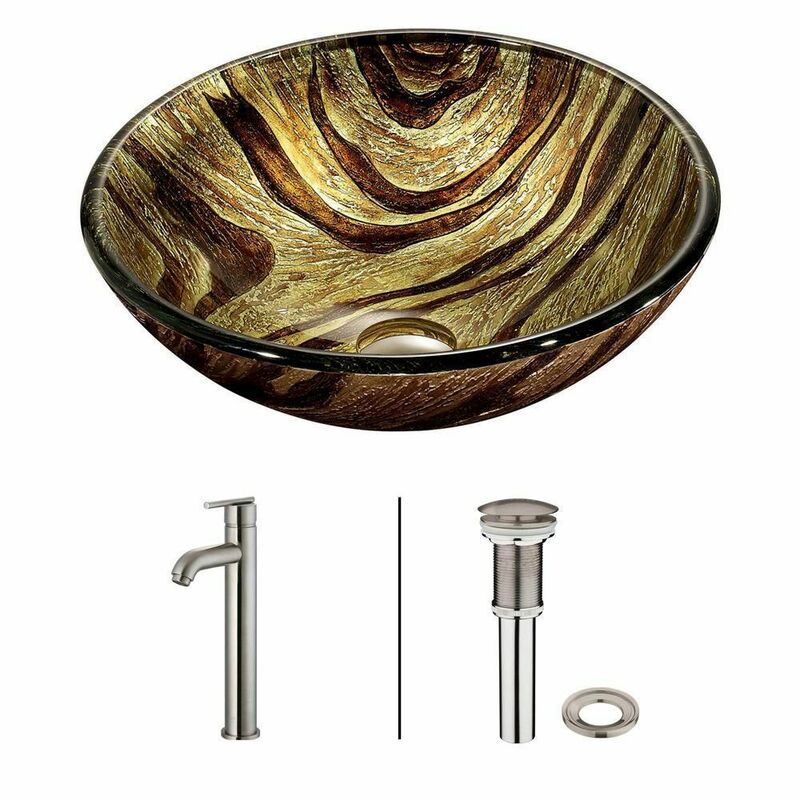 Glass Vessel Sink in Zebra with Faucet in Brushed Nickel is rated 5.0 out of 5 by 3. Rated 5 out of 5 by Eileen from Spectacular vessel sink Extremely satisfied with this beautiful sink. Quality is high. I consider it the focal point of the bathroom. Rated 5 out of 5 by Eileen from Thrilled with new sink! Love the sink! Even more beautiful than the picture! Happy with the faucet as well!